One year after the much-discussed Brexit referendum of 26 June 2016 ‒ and the European political and constitutional landscape is marked by questions concerning the desirability of referendums. The controversial Turkish constitutional referendum of 16 April 2017 is evidence, and so are calls for a referendum ratifying the Brexit deal to be reached between the United Kingdom and the EU, not to mention calls for the Brexit question to be revisited as such in a second referendum. Whether referendums should be held or not is still very much on the agenda. The issue is often not so much what the outcome of a particular matter should be, but rather how it should be resolved in terms of decision-making. In addition to questions such as, ‘would you favour outcome X or Y?’, the public is confronted with questions on who should decide the major issues facing their society. For example, according to a 2016 poll, 54% percent of Dutch voters supported a referendum in order to decide whether the Netherlands had to remain a Member State of the European Union. Deceptively, the desirability of referendums is not a purely procedural question to be answered devoid of substance. This is because the renewed interest in referendums as a decision-making device cuts to the very heart of what liberal democracy in Europe should look like. Studying how constitutional frameworks translate political preferences into reality is a deep and substantive question of how modern-day societies perceive and define democracy. Those arguing in favour of ‘more’ democracy will likely defend referendums as a form of direct democracy. The instrument’s opponents on the other hand will resort to extolling the virtues of representative democracy, and hence indirect democracy. The rule that equates democracy with representative democracy is not so much in doubt, as is the extent to which the rule should be relaxed in allowing referendums, if at all. Where should the line be drawn in calling upon the electorate, or leaving something to the mandate of politicians? This is the pertinent question in many societies, irrespective of whether a referendum is legally binding, or if its outcome is intended as a piece of advice which politicians can choose not to follow. The reality is that the desirability of referendums cannot be answered with a clear ‘yes’ or ‘no’. This is because there is more than one valid constitutional perspective in evaluating the case for or against referendums. The outcome of a particular debate will depend on whether one adopts a tradition-centred or a theoretical approach. Those favouring tradition over innovation will emphasise the purpose of constitutional arrangements to provide institutional stability. In Switzerland the result would favour a heavy reliance on referendums, while the opposite would be the case in neighbouring Germany which has no post-war tradition of direct democracy. A tradition-centred approach cannot be questioned as such, adopting received wisdom, rules and practice is a valid constitutional path to follow. Constitutional law in its core is about predictability and economy of decision-making, and therefore essentially tradition-friendly. However, a theoretical or questioning approach on the ideal nature of democratic expression is equally valid in addition to following tradition. Tradition can develop, change or break. Motion can eclipse station. Enquiry can come to question received interpretation, as recent research into the perceived exclusion of referendums in article 33 of the Belgian Constitution has done. Searching for a ‘single right answer’ on the desirability of referendums is futile. An answer that might fit one system might not fit another, while both are based on constitutionally valid reasons. In practice, much will depend on context, and chance, in tilting the debate on whether to hold a referendum one way or the other. For instance, the effectiveness of political campaigning over more than two decades, driven by those disaffected with the United Kingdom’s signing of the Treaty of Maastricht in 1992, cannot be underestimated in explaining why the Brexit referendum took place. At the same time though, it cannot be denied that the referendum might also not have been held, if different personalities had been involved and political choices had been made. Instead of focussing on the elusive ‘single right answer’, practice and scholarship should focus on developing general conditions for using referendums, leaving the choice of whether to use the instrument to each jurisdiction to decide for itself. In other words, were a jurisdiction to settle for referendums, what common standards must be applied in putting them into practice? In developing such conditions, a concern for the protection of fundamental rights must take centre stage. A referendum cannot be used to sweep aside bills and other declarations of rights, or endanger their application by undermining the separation of powers. Rather than serve as an instrument of democracy, referendums would then come to undermine the very fundamental rights of democracy. It is through the lens of fundamental rights that referendums such as the Brexit referendum and the Turkish constitutional referendum must be evaluated, in addition to providing constitutionally valid reasons for calling them in the first place. Just as representative democracy must respect fundamental rights, so too must referendums. This encompasses not only the decision to hold one, but also the exact framing of its question and the putting into practice of its result. While referendums may be the exception to representative democracy, they may not be the exemption to the respect and protection of fundamental rights. 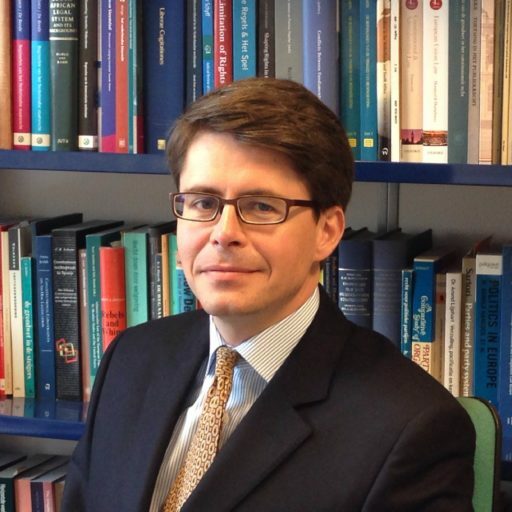 SUGGESTED CITATION van der Schyff, Gerhard: One year after the Brexit Referendum: More, Fewer or No Referendums in Europe?, VerfBlog, 2017/6/28, https://verfassungsblog.de/one-year-after-the-brexit-referendum-more-fewer-or-no-referendums-in-europe/, DOI: https://dx.doi.org/10.17176/20170627-164554.